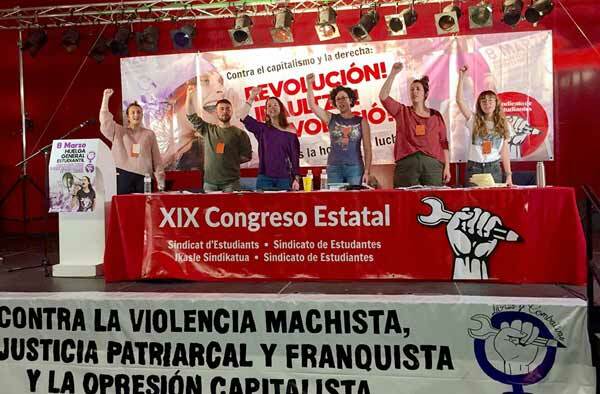 The progress made in building sections of the CWI since the Seventh Congress (in 1998) was assessed, with many excellent reports given; most sections have increased their membership and influence. WORLD ’LEADERS’ are preparing a global publicity stunt - the World Summit on Environment and Development. From 26 August to 4 September, 65,000 delegates from 174 countries will descend on Johannesburg, South Africa. Security will be provided by 27,000 police. Roger Shrives. This article first appeared in The Socialist. AS 15,000 delegates attended the International Aids Conference in Barcelona, the United Nations estimates that 68 million people could die of the Aids disease by 2020. Exclusive photographs by CWI photographer Paul Mattsson. cwi comment and analysis, international report.